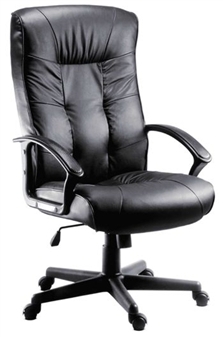 Executive High Back Leather Faced Chair with plush upholstery and higher than average backrest. Features a gas seat height adjustment and reclining function with adjustable tension control. Finished with durable nylon armrests and five star base. Ideal seating for the office, or for other working areas.